Maximum resolution for standalone video streaming is 720p. Your SD card must be formatted in FAT32. 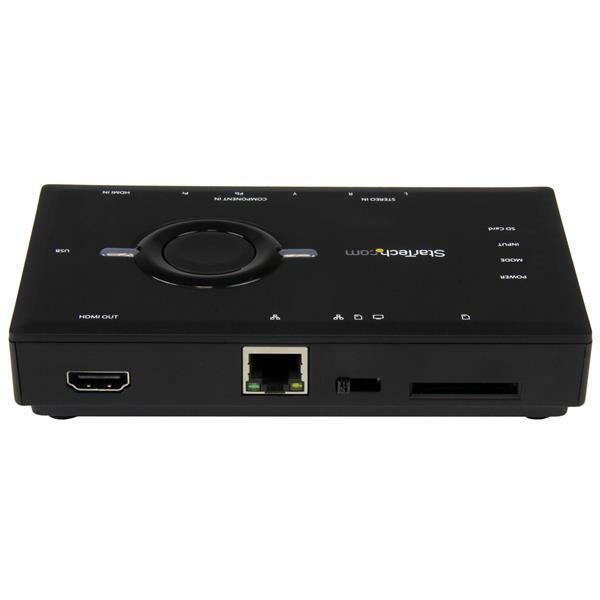 Are there any network requirements for the USB2HDCAPS? In order for network streaming to work with ShareView, your network infrastructure must have a DHCP server included on the network. The DHCP server issues an IP address to the USB2HDCAPS and allows any computer on the same network running ShareView to discover the USB2HDCAPS. A static IP address cannot be set. Only a 10/100 connection is required. StarTech.com only supports the use of ShareView software for network streaming and does not support the use of third-party streaming software. Make sure that your operating system is current (for example, the most recent service pack is installed). Make sure that Microsoft .NET Framework 3.5 is installed. Press the Windows key + X, and then click Programs and Features. Find .NET Framework 3.5 (includes .NET 2.0 and 3.0) at the top of the list, and do one of the following. If there is a small box inside of the .NET Framework 3.5 check box, .NET Framework is installed on your system and no further action is required. If there is not a small box inside of the .NET Framework 3.5 check box, click inside of the check box and then click OK. Windows will start installing .NET Framework 3.5 on your system. Before you complete the following, make sure that .NET Framework is installed on your system. Navigate to http://www.startech.com/Support and download the latest software. The part number is USB2HDCAPS. When the software finishes downloading, it will be ready to use. Can I capture the output of my USB2HDCAPS on multiple computers? 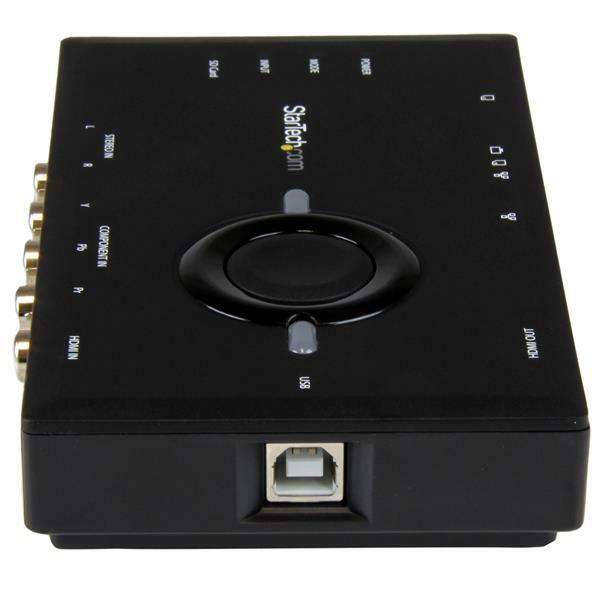 A single USB2HDCAPS can stream over the network to multiple systems simultaneously. 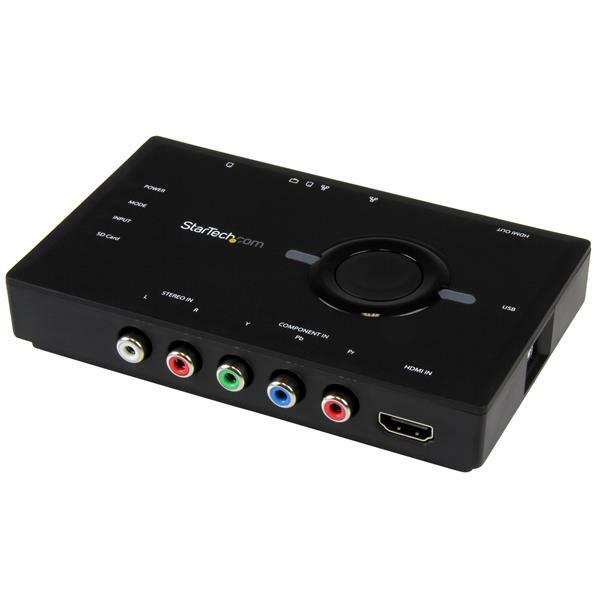 This allows multiple systems running ShareView to view or record the input to the USB2HDCAPS. Multiple USB2HDCAPS can also exist on the network and can be selected in the ShareView Settings menu. Only the first system that is connected to the USB2HDCAPS can change the settings; other systems that are connected to the unit can only view and record the video data. 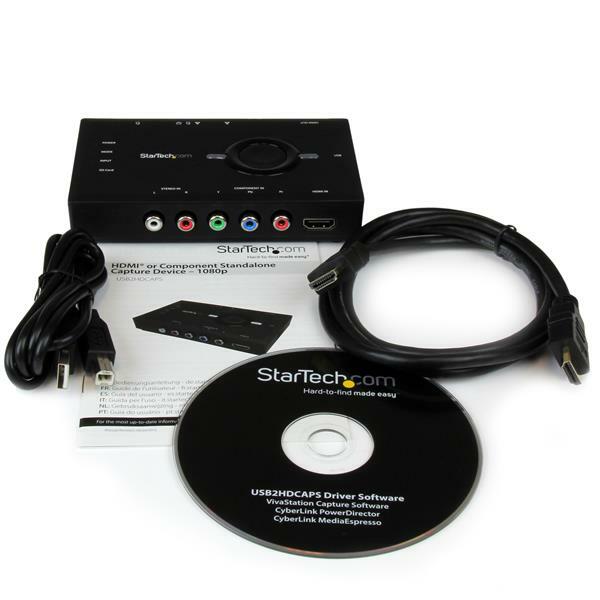 Note: While third-party software may work with the USB2HDCAPS, StarTech.com only supports the use of ShareView software for network streaming. How do I use ShareView to stream to YouTube Live Events? Under Encoder setup, copy and save the Server URL from the bottom of the page (you need the link to complete step 7). Click Reveal and copy and save the Stream name/key from the same area (you need this to complete step 8). Click Settings > Live Stream Settings. In the Website drop-down menu, click Custom RTMP. In the URL field, paste the link that you recorded in step 2. In the StreamKey field, paste the text that you recorded in step 3. Note: There needs to be a "/" between the name and key. On the ShareView page, click the blue live button.